EC is targeted at professional couples with household income of up to $10,000 a month to own private housing. 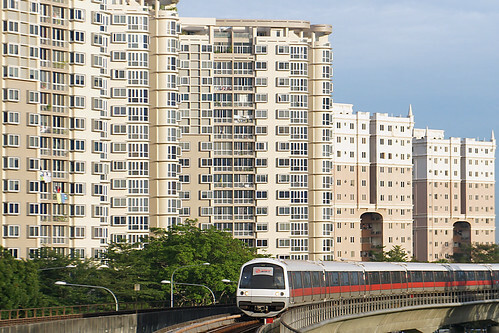 EC projects are strata-titled apartments with facilities comparable to private condominiums. New EC units are sold with initial eligibility and ownership restrictions similar to public housing, but at a higher income ceiling of $10,000 per month. Eligible first-timers who purchase new ECs can also apply for a housing subsidy in the form of a $30,000 CPF grant. The ownership restrictions for ECs are relaxed in phases at 5-year and 10-year intervals after the Temporary Occupation Permit for the project is attained. Rw3OP9 You, my pal, ROCK! I found exactly the information I already searched everywhere and just couldn at locate it. What an ideal web-site. Ty3dSC Thank you for this impressive report. I am refreshed following reading this. Thank you! rhrrUA some truly fantastic content on this internet site , thankyou for contribution.